Dr. Dave Kimber (Letters January 17) is absolutely right to draw attention to the problems that seem likely to follow from the widespread planned road closures on May 12th., in order to accommodate the Velo event. It should be remembered that individuals who live on the affected roads have right of access to the public highway. This practice of making road closures for special events needs to be challenged in law. I suggest that any individual who may be adversely effected by these closures complains to both their local councillor and their MP. Public highways are exactly that – highways for the use of the public. They are not playgrounds for special interest groups to use for their own purposes, to the exclusion of everyone else. Why do we have a Police and Crime Commissioner plus a deputy a West Midlands Lord Mayor and a deputy on huge salaries, huge expenses. Isn’t it about time to get rid of these when our hospitals are struggling financially. Police on the ground are virtually non-existent due to lack of funding and vital services like the Solihull Citizens Advice Centre is in the process of been closed down and their salaries can be put to better use. I write this as someone who lives in the real world and i think it is time that people at the top got their priorities right. Like many residents I am concerned about the demise of the high street. With the popularity of on line shopping increasing, especially amongst the younger generation we must work so much harder to create a space that encourages footfall. With increasing rents and rates it is even more imperative that we adopt the ‘use it, or lose it’ philosophy. We need the local population and our councillors to lobby Solihull council to bring in an extended free parking period in Knowle. Yes, we can all afford 20p for the extra half an hour, but realistically many will just pop to one shop and not browse other shops, or go for a coffee if they bump into a friend. An increase to an hour would help revatilise the high street and hopefully entice others to open in the many empty shops that are appearing. To go from 3 hours, which was too long, to 2 hours which was perfect, to 30 mins in the space of a few months is not considering what the high street is there for, nor the needs of the local population. An increase to at least one hour would help our struggling shops and bring back the feeling that the high street is a place to visit to see what might be available. 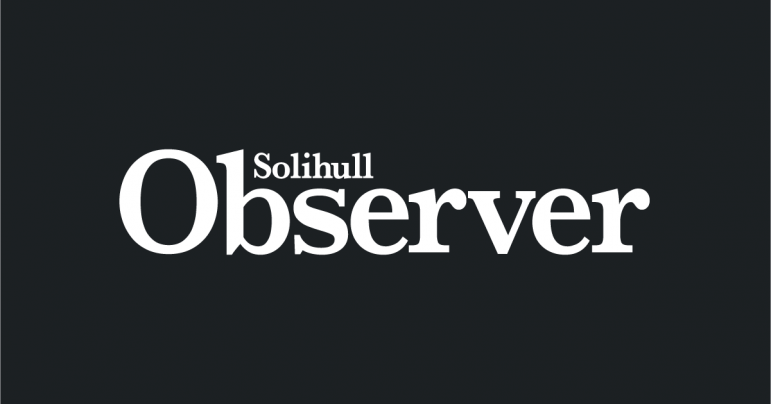 Solihull Council – are you listening to locals? No high street, means no rents, rates or parking fees, so let’s create a High Street that people will use. In the last 20 years my husband & I have done much local and family history as I was born in Shirley in 1940. There was a local paper called “The Shirley Times” which ran from Nov 1931 – May 1932, and in issue 6 in Jan 1932 there was an article about Moor Green saying that a lot of the players, at that time, were also well kinown in other sports. E.g. Alan Newey was a Golfer, R.F.Santall (Warwickshire Cricketer), R.J.Baddeley (Tennis Player). Also in 1926 articles regularly appeared in the “Amateur Circles” of the Sports Argus, written by “Corinthian”. I hope this has been of interest to you and perhaps the man who has written the book. Mrs Ann Turner (nee Thompson). Elmdon Park short term projects, ie, improving the children’s play area. A good idea would be to spend some money on cleaning up the path around the lake, I have seen so many small children walk/ride into this muddy water which is quite deep! I walk my dog in this park and have done for quite a few years, and at no time have I seen this cleaned up. Further the letter from Martin Conion headed “NO MORE STAMPS”. Plus there are other charities that still take used postage stamps in order to raise money from them. When I was 16 I walked through a field of rags and bones, learning of the very real impact of what happens during genocide – kidnap, torture and death. Sadly I wasn’t dreaming, instead I was in Choeung Ek Cambodia staring at a Pyramid of Skulls and the infamous Killing Tree. The horror I felt that day has never left me. January 27th each year is Holocaust Memorial Day (HMD); a day set aside for remembrance for those lost across the ages to such atrocities and for finding resolutions to prevent more suffering going forward. I believe passionately it is vital we learn the lessons of the past – that discrimination, racism and hatred can build towards terrible outcomes very quickly. Cambodia’s example tragically left almost a quarter of the population dead; in just under four years. I believe it is our responsibility as human beings to work towards a safer world for all people – race, religion, gender, sexuality and politics aside. It’s been a busy year and a half for all of us in the NSPCC Schools Service, and with the help of our volunteers we visited 20 primary schools in Solihull in the last academic year alone. This means that, between September 2017 and July 2018, we spoke to 4,696 children locally – and we’re delivering more sessions all the time. Throughout the course of every visit we help children identify who they can speak to about what worries them – it can be a teacher, a parent, or a member of the wider family, to name just a few. But we also know there are some things that are hard for children to talk about with the people they see day to day, which is why we let them know that they can always contact Childline when they need someone to speak to. Their work is vital to our aim of keeping a whole generation of children safe, and for us to keep reaching as many children as possible we at the NSPCC are in desperate need of more schools service volunteers in Solihull. If you would like to join our fantastic team of volunteers in Solihull please contact me at tracey.hulston@nspcc.org.uk or 07976 065088.